I’m looking to using SARMS for the first time and was looking to see what your thoughts for a first time cycle would be and who I should use? The website has promoted sarms1 pretty well, but I’ve seen your log and other ones using the liquid form from ESARMS. Was curious which you would recommend and why, and just overall help on a cycle and shops to support it. Looking to bulk but also try to lean out a little while doing so. Thanks a ton!!! I've read a bunch and have decided to do a quick 2 week oral only cycle of oxandrolone and stanozolol; 40mg and 50mg per day respectively. Then it seems I'll need a 2-4 weeks of pct by taking clomiphene apparently because the roids are not aromatising? I'd rather take tamoxifen 100mg on day 1 then 60mg for 8 days and 40mg for 8 days. The 2 week cycle with these 2 steroids is set in stone but because I'm new I'd very much appreciate advice on the amounts I've come up with, pct(I want to avoid the side effects of clomid) and any words of wisdom you'd like to impart for my first toe dipping into this world. Oh and of course any good sources you know of for someone in the UK, delivery time is a factor. Hello rick, complete noob to the forums and cycles. I'm a competitive athlete that's 35 yr old, 205-210 lbs @14% bf . Hey Bro, I have been clean and out of gym for a couple years. I am getting back into it! I bought some Dianabulk, Black Extreme, Test C & E. Want to buy some MK-2866. Can you help me with some discounts? It would be greatly appreciated! Just trying to figure this out.. I don't know how to delete this post..
how to prevent ACNE on blast (long cycle). Already talked to dozens of bodybuilders and nobody knows what really causes Acne. And how to prevent them. Some say to take AI (aromasin, arimidex). Others say to take anti-DHT (Dutasteride). In the last cycle I had dozens of acne scars and spent a fortune on laser to improve. what to do? Lots of AI e Duta? Not do PCT, stay on forever? Please I need the truth. Would it be terrible I want to try test e with tren e? Hi Rick, I'm looking for some advice on my first cycle. 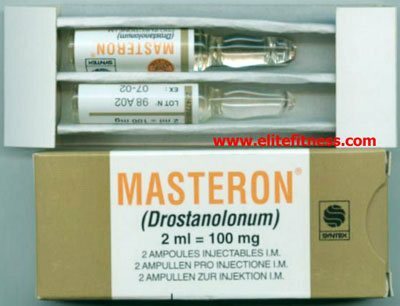 I have been running Masteron 100 1ml eod for 5 weeks now and have had some great gains alone just on mast. I chose mast because of it having low sides and it's results sounded great. Before mast I was 5'10 and 143lbs now after 5 weeks I am 163lbs. I was looking to introduce Anavar into my cycle. I have 50mg tablets and was looking for dosage advice and how long to run my cycle also some PCT advice before I get started.